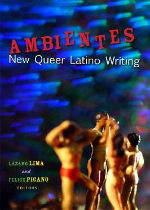 In his introduction to Ambientes: New Queer Latino Writing (University of Wisconsin Press), co-editor Lázaro Lima defines this slim volume’s scope as an opening statement in a growing conversation, one that confronts the bias of mainstream American cultural constructs and seeks “to envision a different kind of national culture.” It’s a bit like shooting at a moving target as what it means to be Latino and queer in America continues to evolve toward (presumably) some distant equilibrium. All the same, Lima and fellow editor Felice Picano have put together a tight collection of stories and critical thought chronicling the various ways we live today. “Imitation of Selena” by Ramón García tells the tragic tale of Pesticida, an aging queen obsessed with the slain Tex-Mex singer, and her house of drag children in Corpus Christi, Texas. Cuban-American novelist Achy Obejas contributes “Kimberle,” a harrowing account of two Sapphic friends in an Indiana town yearly terrorized by a serial killer. Charles Rice-González depicts a group of trans bandits in the Bronx projects. Susana Chávez-Silverman’s “Magnetic Island, Sueño Cronica” is an epistolary story told in Spanglish, wonderfully illustrating the editors’ refusal to italicize non-English words on the grounds that Spanish is not a foreign language in the United States, but, rather, our second, unofficial language. It’s an important distinction, and one Lima and Picano stress. While selections like Uriel Quesada’s “I Leave Tomorrow, I Come Back Yesterday” appear here in translation, the majority of the work was written in English for an English-speaking audience. After all, this is not foreign literature. The anthology is designed to showcase a unique and emerging native literature, the “different kind of national culture” Lima references in the introduction. 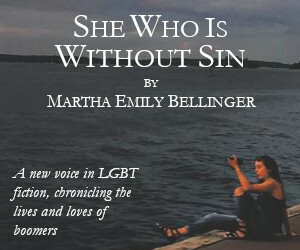 A literature being produced by LGBT writers whose perspective is enriched by a mother (or, often, grandmother) tongue that is Iberian in root and Caribbean/African/South & Central American in flavor, and that is consummately Americano. Communication plays a vital role in this collection – who can understand whom, and who can’t. It’s an inability to communicate, to transcend the protective bluster we as queers (and Latinos) are quick to erect that brings Lou and Pegoña to loggerheads in Daisy Hernández’s “Shorty,” and that drives apart a once close-knit group of gay men in Steven Cordova’s “Six Days in St. Paul.” But it’s also modes of modern communication like email that facilitate a rekindling of love and desire, as in Tatiana de la Tierra’s “Porcupine Love.” Communication, it seems, holds the key. The stories presented in Ambientes are as varied as their authors, but the over-arching theme is one of otherness within our own communities. It’s that shared otherness, however, that promises a powerful cultural unity. 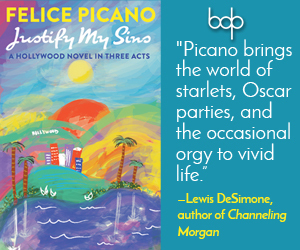 By collecting these early stories, Lima and Picano have taken that first step toward transmuting our individual experiences into a larger cultural legacy, and, in turn, opening the door to a broader, more inclusive national identity.